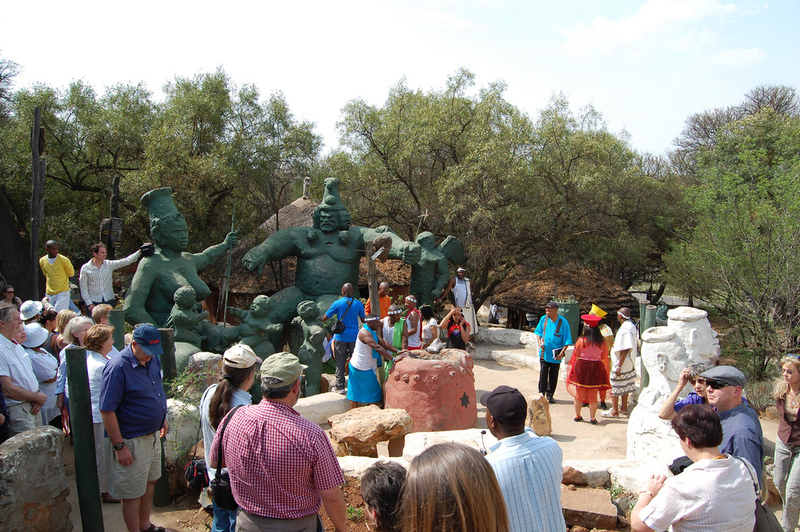 The Credo Mutwa Village set in the grounds of the Ernest Oppenheimer Park, is an outdoor museum with extraordinary sculptures and buildings created by African artist and traditional healer Credo Mutwa. Social media has been abuzz in the last few months over celebrities who announce that they are becoming initiates of traditional healing, a process known as ukuthwasa. The latest one is Mshoza, who announced on Instagram that she was in an initiation process. The Daily Vox breaks down ukuthwasa, traditional healing, and psychology. Ukuthwasa (initiation) is a process undergone by someone who has ubizo (calling) from their ancestors to become a healer. It has existed for centuries in the African community. Due to the symptoms that appear, ubizo is misunderstood sometimes, and associated with â€˜possessionâ€™ or â€˜evil spiritsâ€™. The calling is understood to come from the deceased ancestors who might have been healers themselves. Unlike the Western tradition, where anyone who has a desire to become a doctor can pursue medical studies and graduate, ukuthwasa is not just for anyone. But, those who undergo this process are considered to be gifted by their ancestors, who need to accept and embrace their healing powers. Some people are considered â€˜born with itâ€™, while others can receive the calling if their parents spurn it. The experience varies. Since South African celebrities, including musicians and actors are becoming traditional healers, social media has been awash with mocking comments, some saying that ukuthwasa has somehow become fashionable. According to a spiritualist and academic Dr Velaphi Mkhize, not everyone who undergoes the process of ukuthwasa becomes a sangoma, that’s why many celebrities become amathwasa. Some people become amathwasa due to ancestral issues, which require them to perform certain rituals. Among these are the people who might be experiencing difficulties in life, such as losing valuable belongings and their loved ones. Some of the recent initiates who made public announcements include intellectuals and academics, which is helping to challenge common myths and stereotypes that traditional healing is only for poor and uneducated people. 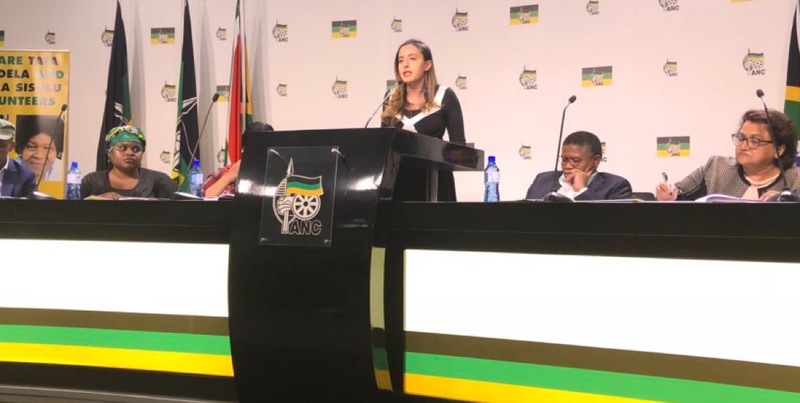 According to healer and school principal Makhosi Ndleleni Zondo, people are not taking ukuthwasa serious as they believe that it’s hogwash. This is due to many unreliable and untrustworthy fake sangomas who defraud people of millions worth of money while promising them enrichment. In the olden days, people used to walk or drive long distances to consult with sangomas. Now, they have access, at the tip of their fingers, to techno-savvy sangomas or izinyanga (healers) who are available on social networks. Many of traditional healers engage with people on Facebook and Twitter. Dr Mkhize is one of the spiritualists who have taken traditional healing practice to the next level. According to him people need someone relevant to consult and address their issues. â€œWho is going to listen to an uneducated sangoma in the the 21st century?â€ he asks. Traditional healing has been a common practice for centuries, with many Africans from different socioeconomic backgrounds turning to healers with various health care problems. After colonisation, many people now turn to Western methods instead, and specialists in psychological and emotional problems. 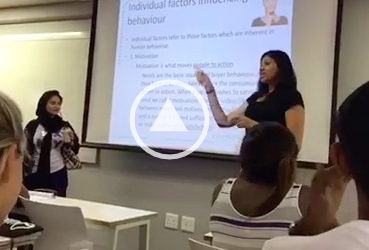 The University of KwaZulu-Natal has introduced an Advanced Topics in African psychology class, which seeks to provide an African perspective on the question of psychology. Dr Mkhize explained how many people approach psychologists seeking help but only to find that they need African traditional healing. However, he also explained that there are those who suffer from both physical and psychological issues, and as a traditional healer one can heal the physical part but would need to refer the person to a psychologist for illnesses such as depression. This is how African traditional healing and Western-style psychology are integrated.